A man in his mid-60s, who has suffered from life-long epilepsy, has been made a ward of court by the President of the High Court. The man had been appealing to the court to be allowed to return to his own home. Last week, Mr Justice Peter Kelly travelled to a nursing home in a rural area to hear the man’s case. Today, the judge said in a reserved judgment that during a two-hour hearing in the nursing home, and in a number of hearings prior to that, the court had heard what he described as "a clash of medical evidence" regarding the man's capacity to look after himself. 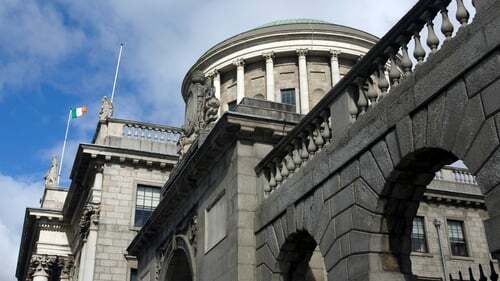 Judge Kelly said that because of this, while taking the man into wardship, the court would be open to new medical and psychiatric assessments being made in six or 12 months' time to review its decision. "As I have often stated in this court I believe people should not be in wardship unless they absolutely have to be," the judge said. The court appointed the general solicitor for minors and wards to act as the man's committee, which will be responsible for following court approved guidelines with regard to the man's treatment and financial affairs. Pending further court order, he will remain resident in the nursing home where Judge Kelly heard his arguments for being released to his own home where he lives alone. The matter was put in to the High Court wardship list for 15 October. Judge Kelly took the unusual decision to hear the man's appeal in the nursing home after he was told by the man's treating doctor that the stress of court proceedings in a formal setting could trigger a seizure. The visiting court had heard conflicting views about whether the man had the necessary mental capacity to make decisions affecting his health and finances. A treating consultant geriatrician and court-appointed medical visitor, who is also a consultant psychiatrist, said that the man lacked capacity. Two consultant geriatricians who assessed him in May disagreed and believed he had the necessary capacity. The court heard that the man had been admitted to hospital multiple times and had become malnourished when living alone at home. He bought ready-made meals from a local store and heated them in his microwave. The man said he was a supporter of Tottenham Hotspur football club and enjoyed going to his local town and visiting the grave of his mother with whom he lived up until she died. Judge Kelly said there were three questions he had to answer: Is the appellant of sound mind? Is he incapable of managing his own affairs? Is it necessary and appropriate for him to be taken into wardship? He preferred the evidence of the medical experts who were of the view the man was of unsound mind. SAGE, the Support and Advocacy Service, issued a statement after the judge's decision in which it expressed deep disappointment. It said the man had "lost his legal identity, his rights as a citizen and his ability to choose where he lives based on legislation dating from 1871". SAGE added: "It is truly saddening that the High Court, which should vindicate the rights of vulnerable people, should share the viewpoint of some of the most reactionary elements within the HSE and objectively take the view that it is better that a vulnerable person be held in custody in a congregated care setting … rather than challenge them to organise basic and necessary home care services." Speaking on RTÉ’s News at One, SAGE Advocacy solicitor Mary Condell said what the man had wanted was very simple - to live at home in his own place. Ms Condell said at no stage was there a "safe discharge plan" drawn up for the man as an alternative. She said there should be support for people to remain in their homes.